2012-2011. Official master degree for access to doctorate “Ejercicio y salud” (Exercise and health). University of Cadiz. Degree of D.O. in Osteopathy, after presenting the thesis to the International Tribunal (MSO-SEFO). Madrid. University expert in Sports Physical Therapy (Complutense University of Madrid). University of Alcala- MSO, Alcalá de Henares, Madrid. 1998-1995. University Graduated in Physical Therapy (UAH). Director of the Postgraduate Institute in Manual Therapy (INSTEMA) and Clinical Activity in OFISTEMA center. Second level in somatic emotional release. Tupimek. El Escorial, Madrid. Postgraduate course of Osteopathy and Obstetrics. AIHSS, Madrid. 2009-2008. 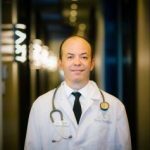 Expert in myofascial therapies. Third level of myofascial induction. Integrated therapies. Tupimek. El Escorial, Madrid. First level of the manipulation course of fascia, according to Luigi Stecco´s method. AIHSS, Madrid. 2005-2004. 6th Level of studies in Osteopathy. Madrid School of Osteopathy. Madrid. I Bobath Seminary for Physical Therapy students (Bobath Centre of Spain). Madrid. 2013-2012. Teacher trainer for Europe and South America from Madrid School of Osteopathy (MSO). 2012-… Free professional practice at GOVÉS (own cabin). Osteopathy and Physiotherapy. Madrid. 2012-… Teacher at the CJC University for Bachelor in Physical Therapy. 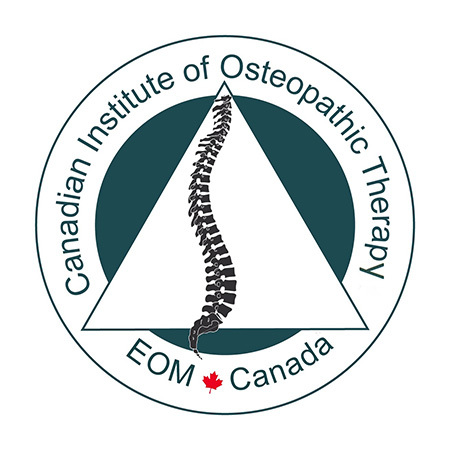 Subject of “Osteopathy in Physical Therapy” (3rd Course). 2008-… Teacher for the Specialised Course in Osteopathic Physiotherapy. University of Zaragoza. 2009-2008. Teacher at the European University of Madrid, in Bachelor of Physiotherapy. Subject of “Osteopathic Physical Therapy” (3rd Course). 2008. Translator at the International Scientific Meetings on the Temporomandibular Joint. Madrid School of Osteopathy. Madrid. 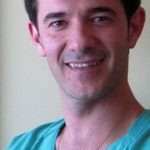 2005-… Teacher at the Madrid School of Osteopathy, at its branches from Spain, Portugal, Italy and Argentina. 2012-2004. Free professional practice at the private cabin “Dueñas y Cerrato” (Madrid). 2004. Teaching assistant at the Madrid School of Osteopathy. 2004. English interpreter (Simultaneous interpreting) at the Madrid School of Osteopathy. 2003. English interpreter (Simultaneous interpreting) for the International Tribunal for Thesis Reading for the D.O. degree in Osteopathy. Alcalá de Henares, Madrid. 2001-2000. Teacher of Clinical Experience at the Alfonso X el Sabio University. 2004-2000. Physiotherapist at the ASGA clinic. Madrid. 2001. Physiotherapist at the SPAR European Cup. Madrid. 2004-1998. Home assistance services as a physiotherapist. 1998. Volunteer physiotherapist in Mapoma. Assistant at the International Congress of Osteopathy (CIOST, 2012). Oporto, Portugal. Assistant at the XIX Physiotherapy Meetings of ONCE*: Craniosacral system as a biodynamic unity. ONCE. Tupimek. Madrid. Assistant at the VII International Scientific Meetings of Osteopathy. University of Zaragoza. Madrid School of Osteopathy. Arasalud, Zaragoza. Assistant at the VI International Scientific Meetings of Osteopathy. Madrid School of Osteopathy, Garbi University School of Physiotherapy. Madrid. Assistant at the first Congress on Fascia. Consejo Superior de Deportes*- Tupimek. Madrid. Chairman at the Scientific Meetings of Osteopathy. Modifications of the IOP and BP in Diabetics Type I. Madrid School of Osteopathy. Assistant at the International Congress about Swimming and Spinal Column. RFEN (Royal Spanish Swimming Federation). Aranjuez, Madrid. Díaz-Cerrato I, Martínez-Loza E, Martín-Ampudia I. Modificaciones de la PIO y la TA en Diabéticos tipo I tras la manipulación global OAA según Fryette. ECA. Osteopatía Científica. 2009; 4 (1) 3:12. Web locator: Article 249.838. 2012. Article about “Osteopathy and baby colics”. Available on the website: http://www.guiainfantil.com/articulos/bebes/colicos/los-colicos-del-lactante-se- alivian-con-osteopatia/. 2012. Article about “Osteopathy and Obstetrics”. TodoPapás magazine. Nº of August. 2008-… Member of the editorial board of the journal Osteopatía científica. Madrid School of Osteopathy. Ed. Elsevier. 2004. Advisor in the article about correct postures. Cosmopolitan magazine.